Wandrian Adventures in Austin, TX! The very act of taking a vacation has been linked to an increased level of (self-reported) happiness. The New York Times posted an article on the increased level of happiness in the weeks leading up to the planned trip. This happiness comes in the form of excitement and anticipation.The more excited you are about a trip, the longer your happiness boost will be pre-trip. 1. Plan a trip you are absolutely thrilled with. Most interestingly in this study, happiness on the trip itself was variable and depended on the conditions of the trip itself. A difficult travel partner, missed connections and other stress caused the trip to realize only small happiness increases. 2. Vacation with like minded travel partners and have your trip planned in advance. In general, the happiness level returned to baseline upon the traveler’s return, except when the traveler did not return to a pile of work and reported having a very relaxing vacation. 3. Give yourself a few days to relax once you get back home and slowly re-introduce work. Vacations and travel have been shown to provide a higher happiness dividend per dollar than possessions or other status symbols. 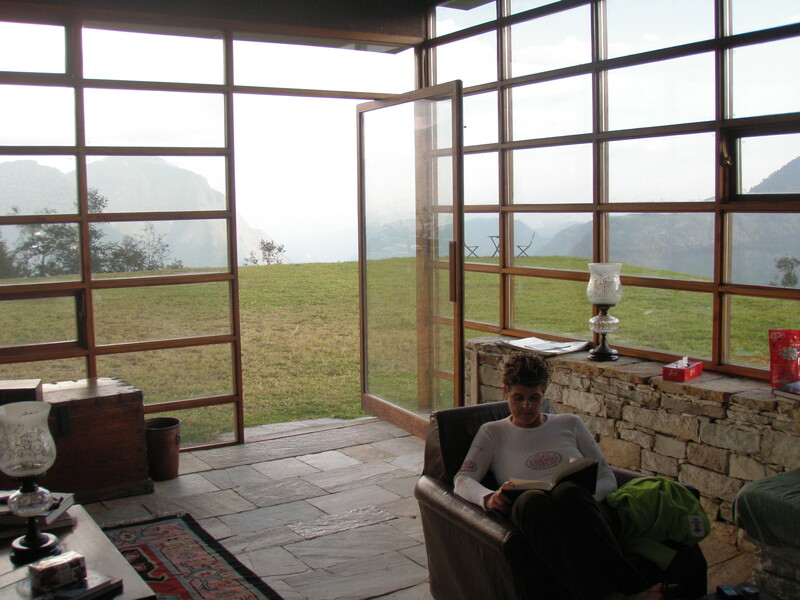 Experiences provide more and have a greater impact on the individual than a new car or other material objects. 4. Budget vacations as mandatory. Travel is an investment into your life. Most of our blog posts to date have been looking outward, toward customers, destinations, or what it’s like to travel with Wandrian Adventures. This afternoon we have the pleasure of looking at what it’s like to work for Wandrian Adventures, with BDA Tracy E. Bartley, or, as she is more often referred to, Employee #1. John, Wandrian’s founder, refers to his employees in the order they were hired. I was the first, but I also get a kick out of how it makes me sound like the best! How long have you been with Wandrian Adventures? Not that long actually, I’m just finishing up my first year. What do you typically do in a day? The only consistent parts of my day are in social media and e-mail, the rest varies from rock-climbing with an event sponsor, redesigning the ‘face’ of the webpage, to meeting with web development groups to potentially offer a super-niche trip… I’m very excited about the possibilities of the latter, but I can’t say more on the subject quite yet. 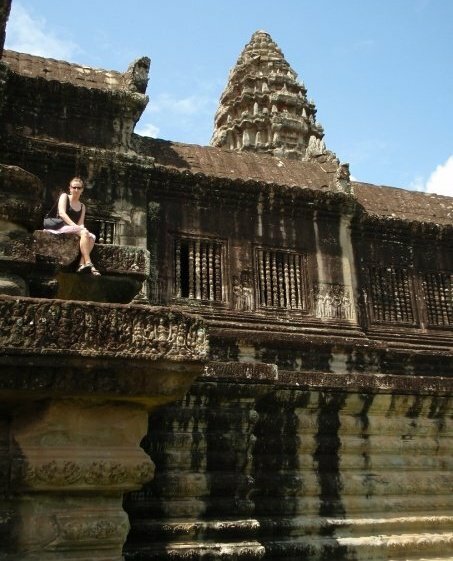 I spend three months in Thailand, Cambodia and Vietnam. What is the worst experience you’ve had while working with Wandrian? Good question. I’d say all in all it’s been amazing, but I do have a particular dislike for the New York Times Travel Show. I’ve been two years in a row and I have hated it both rounds. 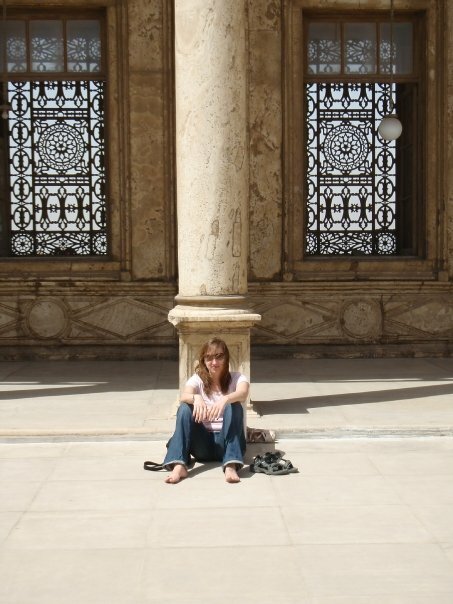 Many of my favorite travel experiences occurred in countries (or even entire regions of the world) that are not represented. The overwhelming majority of trip offerings are for cruise ships, Florida, or others that give you a “vacation” experience without actually connecting with the incredible diversity of the culture and people of the destination. I love Wandrian because it offers directly experiential trips that are life-changing and life-enriching. It’s what travel SHOULD be. It seems you are working for the right company. 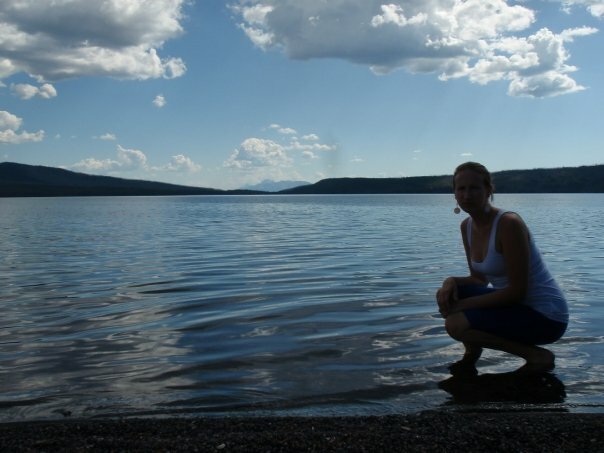 Any suggestions for fellow travel lovers looking to become similarly employed in the industry? Get involved in every project, event and group involving travel you can find. The more connections you already have (or better yet, have created), the more useful a potential travel employer is going to find you. Besides, being involved in the travel community is always a good time! One last question before you go, what is your favorite travel story or memory? Hah, that would be the time I accidentally pepper-sprayed myself, got malaria and decided to join the locally popular style of a shaved head all in 24 hours. If you want the whole story you’ll have to come to the upcoming Travel Story ThrowDown. 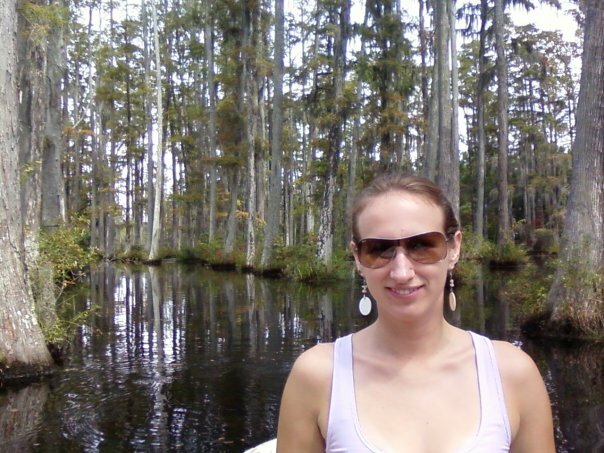 and about Tracy E. Bartley and her travels on her blog. There are two ways to go about this, depending on the sort of partners you are looking for. Find your partner’s twitter page and see if they have a number in the “listed” category at the top right. 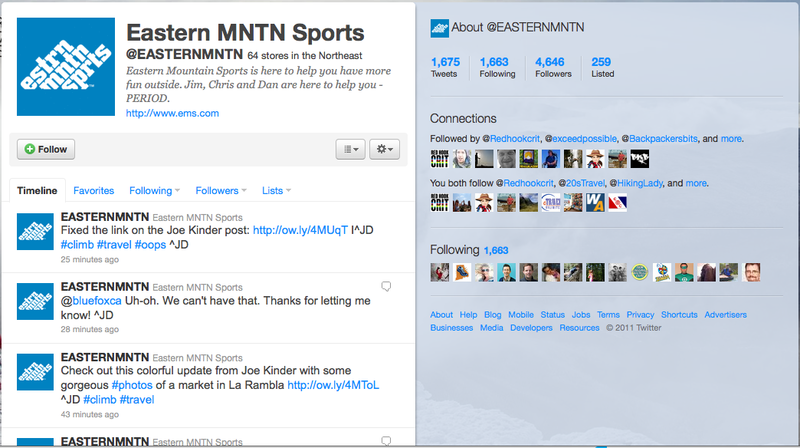 In this case Eastern MNTN Sports has been added to 259 lists. These lists have been compiled by other twitter users and generally group similar companies into tweet feeds as seen on the left. Take advantage of the grouping and organizing that other people have already done – it’s like having a twitter secretary! If you are interested in partnerships with companies that are not necessarily this similar to one another, check out who your partner “follows”. 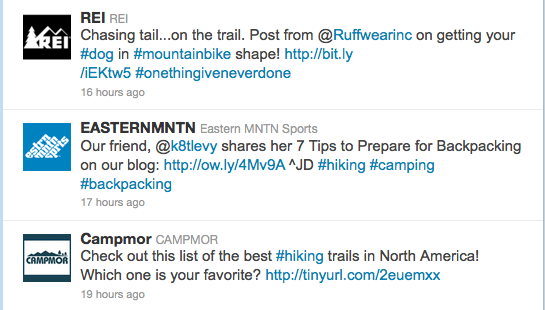 In this case Eastern Mountain Sports follows 1,663 individuals and companies. Whew! That’s a long list! 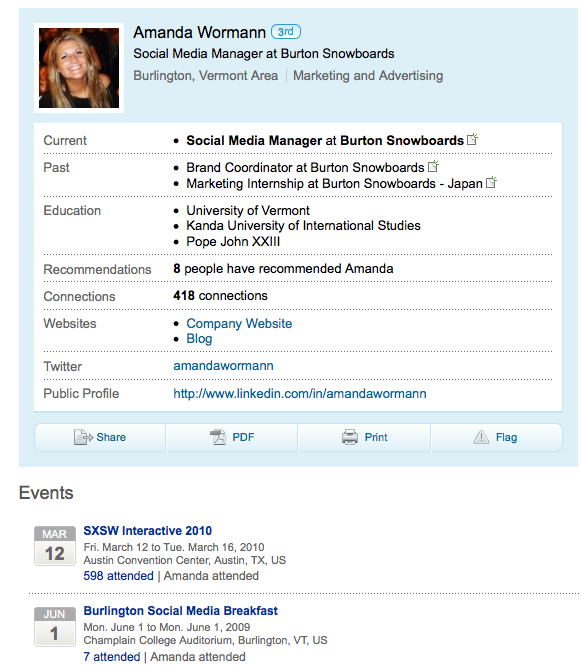 One of the first individuals is Amanda Wormann, the Social Media Manager of Burton Snowboards. Oh, perfect! We would love to work with Burton! Now you can use Google to search for her specifically. Type in “Amanda Wormann Linkedin” to google. The first result is exactly what we want, her Linkedin account. You can see where she has worked, what her interests are and what events she has attended over the past few months. Great! You can now send her an e-mail directly through Linkedin (if you have an upgraded account), you can search for her contact information via facebook or through Burton’s directory, or you can message or mention her on twitter. You can be this direct if you are looking for a contact point in a well known organization OR you can use this same method to connect with less known companies that also might make good partners. 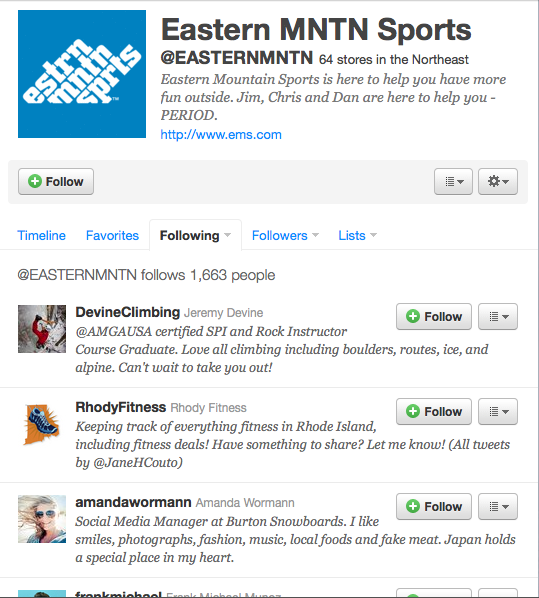 Referring back to the “Following” image for EMS, the second result was Rhodyfitness, a Rhode Island fitness company. You can now search for that company directly through google to get their contact information. It is important to use these methods in a professional and non-spammy way. Tailor your e-mails for the individual you are contacting and thoroughly research the company in question before you try to make contact. If you do not show respect and appreciation for what their company does, they will not be interested in working with you. Have you found other ways to use Social Media as a way to increase partnerships and relationships for your business? Please comment! 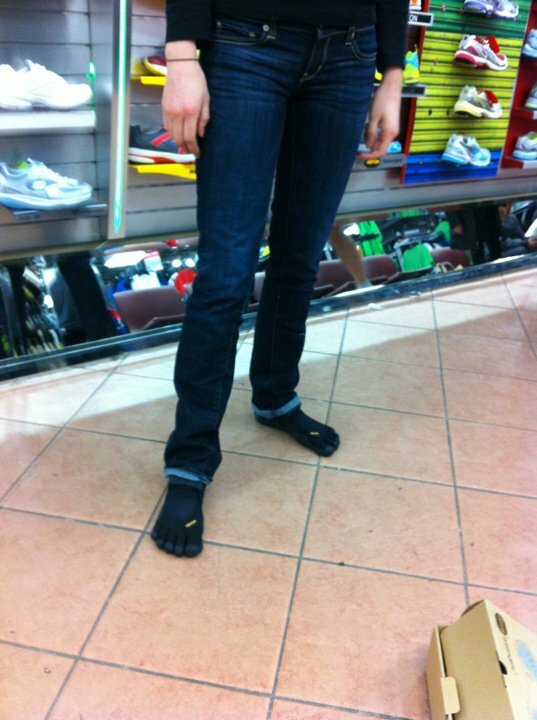 Have you tried barefoot/minimalist running? What was your experience? Japan: Is It Safe to Visit? Where are these beautiful photos taken? 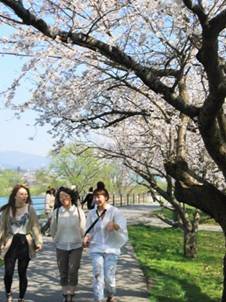 Is this the Cherry Blossom Festival in D.C.? 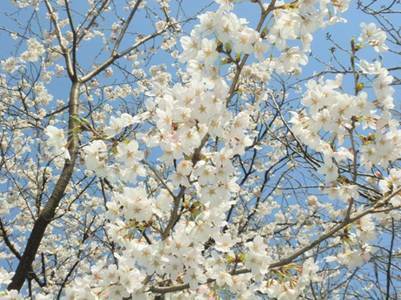 No, it’s the 2011 Japanese spring bloom! Both Haneda & Narita airports are fully functional and operate normally. Trains and subways in Tokyo and Kanto Region are operating under near normal schedule and there is little inconvenience to get around within Tokyo metropolitan area. Most touristic sights and attractions (Museums, Tokyo Tower, Zoo & Aquarium) have reopened and operate normally, although with energy saving measures which translate into slightly shortened operation hours or reduced lighting for some buildings, in normally “over lit” Tokyo! Finally, radioactivity measurements by Japanese as well as international organizations show that the current level of radiation in Tokyo does not have any effect on human health and water has been deemed safe to consume. As mentioned in our earlier situation updates, except for the North-eastern part of Japan, most of the country has largely been spared by the earthquake and the ensuing tsunami. 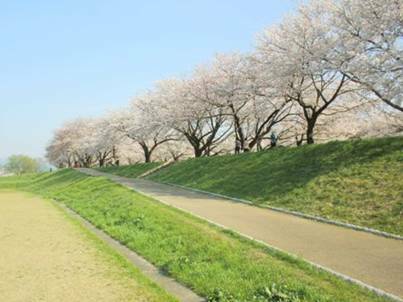 Although Japan has suffered an immense tragedy, the damaged area is really localized in the north-eastern part of the country, more than 250 km from Tokyo. Therefore, in Hakone, Izu, Kyoto, Osaka, Hiroshima, Kanazawa and the islands of Kyushu & Hokkaido, life continues as usual, with stores well stocked, gasoline largely available and all businesses fully functional. 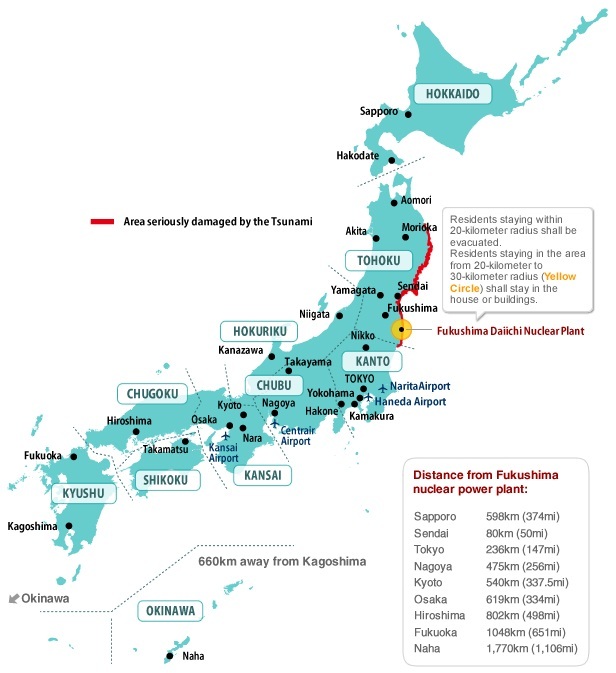 In addition, except for the 30 km radius around Fukushima, all areas are considered safe in terms of radioactivity as well as all air travels. Although the level of incident has been recently upgraded to 7 on the INES scale, this is more a retroactive upgrade, due to the release of water in the ocean, rather than an actual deterioration of the situation at the nuclear power plant of Fukushima Daiichi, which seems to have actually improved: the cooling of reactors is now under control. 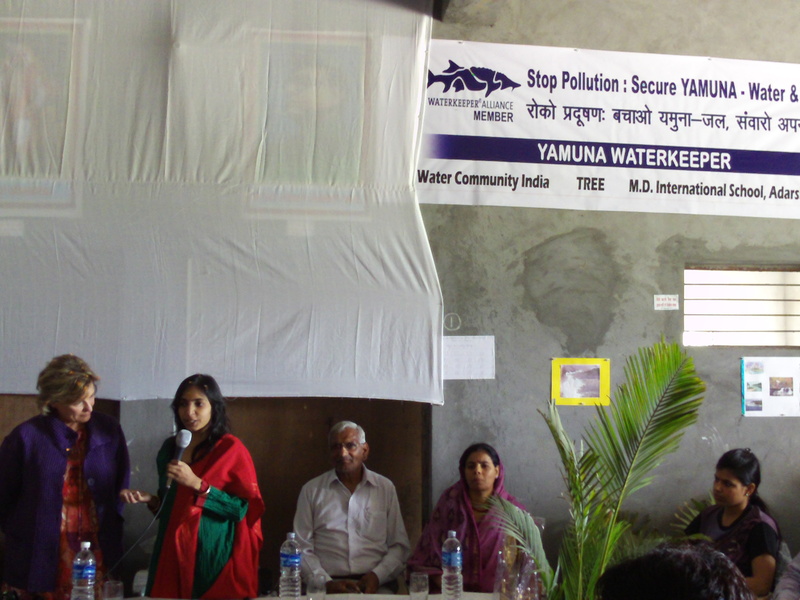 However, the amount of contaminated water in the plant forced the operator to release some of it into the sea, with unknown consequences to the marine environment. As a conclusion, while the situation remains locally serious, there is no threat to human health outside a 30 km radius around the plant. Now that the situation has improved and since many places in Japan are safe to visit, we look forward to resuming operations under more “normal” conditions. 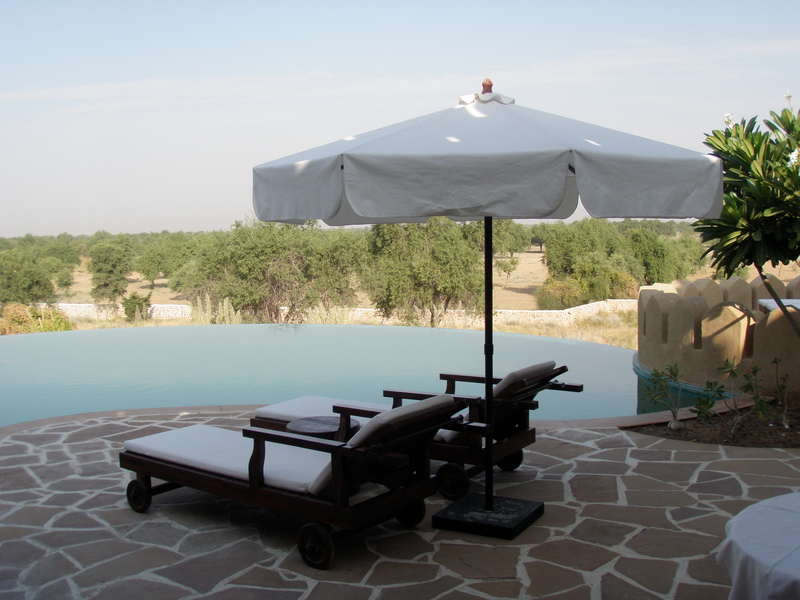 We look forward to any enquiries and fully remain at your disposal to give you more specific details. 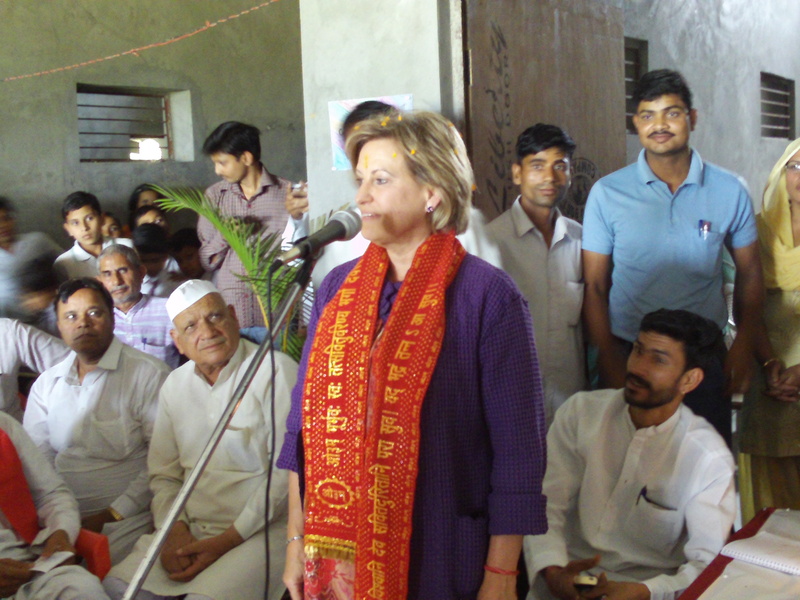 Mona Steen, Waterkeeper board member and traveler on our recent Ultimate Himalayan Trek sent a quick summary of her experience meeting with Waterkeeper India.